Hawaii may be the land of luxury hotels, but nothing beach an oceanfront condo where you can kick back with all the comforts of home. Here are five of our favorite ocean front spots to stay in the Hawaiian islands. 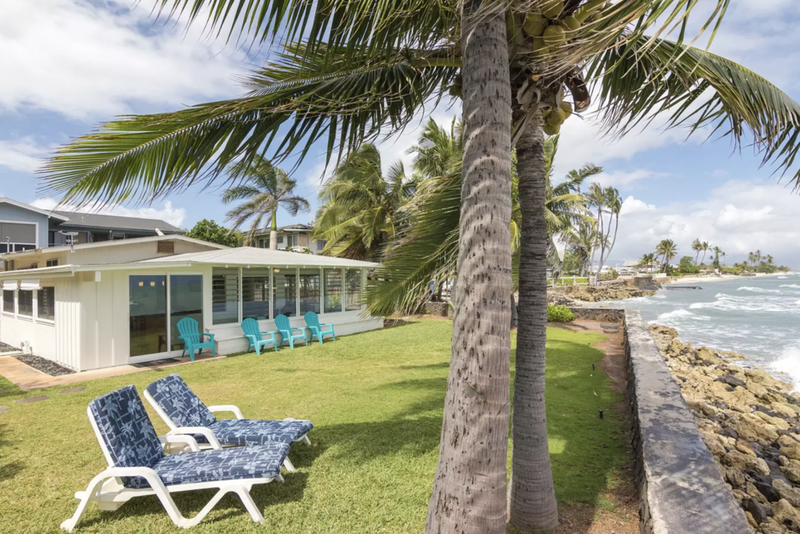 Oahu's newly remodeled Sea Cliff House is located on Laie Point and sleeps up to 10 guests in three bedrooms. A large lanai and 20-foot sliding-glass doors provide a seamless indoor/outdoor living experience with panoramic views of Laie Bay. This one bed Lahaina studio is the perfect oceanfront location for a couple looking for privacy. Just 20 feet from the water, this Pohailani studio is as close to the ocean as it gets! The central location between Ka`anapali and Kapalua is ideal for guests on the go who want to explore all that Maui has to offer. This Pipeline property on Oahu takes it to the next level - from oceanfront to beachfront! Pipeline is home to the world's best surf show, so if you visit during the winter you'll be able to enjoy some big wave entertainment. Visit during the summer for a quiet beach experience. The two-bedroom home sleeps up to seven and is 100% solar powered. The prime location features a coconut and bamboo interior, large deck, an outdoor shower, and gas grills. This private one bedroom beachfront rental is located on Oahu's Hukilau Beach. Decorated with shells in Hawaiiana style, this cozy cottage features covered outdoor living space allowing you to be one with nature. This three bedroom, two bathroom bungalow located on Oahu's Ewa Beach sleeps up to six guests and is located at the end of a low traffic beach road, ensuring a peaceful stay. The renovated plantation style home sits close to the rocky coast and features breathtaking views, ocean breezes, and the sounds of crashing waves. Beach access here is rocky, but there's a sandy beach about a mile up the road.